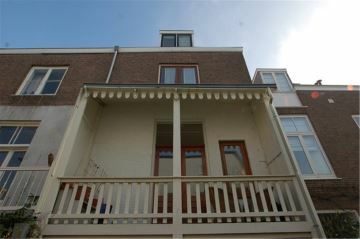 Borneostraat 132 2585 TW 'S-Gravenhage - Estata Makelaars o.g. 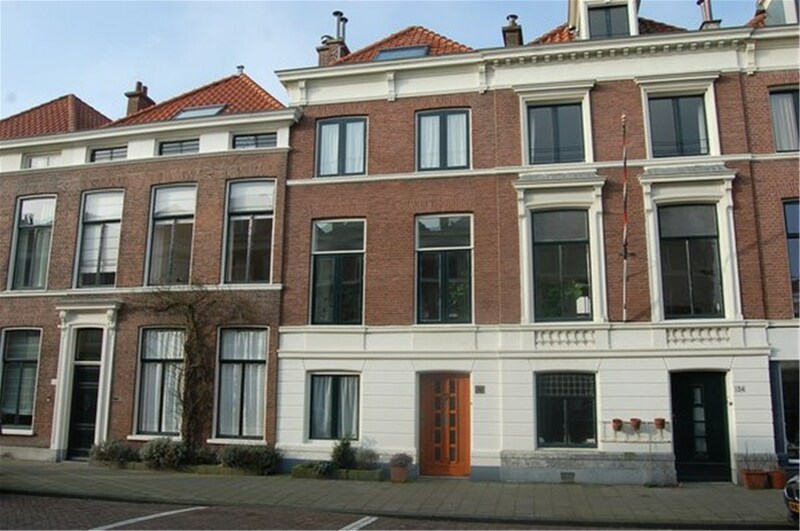 In the lovely Archipel area situated renovated and charming 4-layer herenhuis with original features still intact and sunny backyard facing South-West! 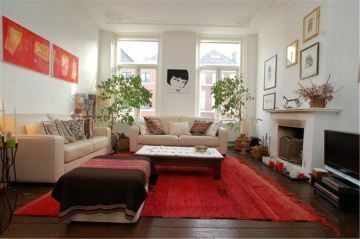 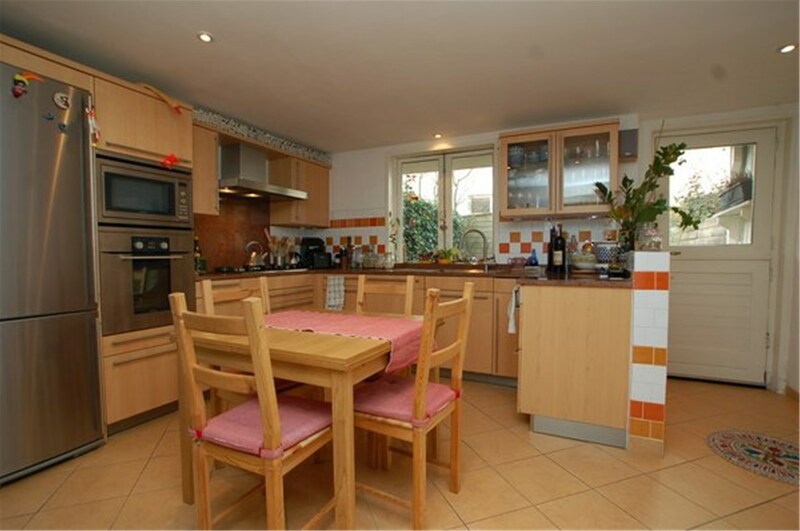 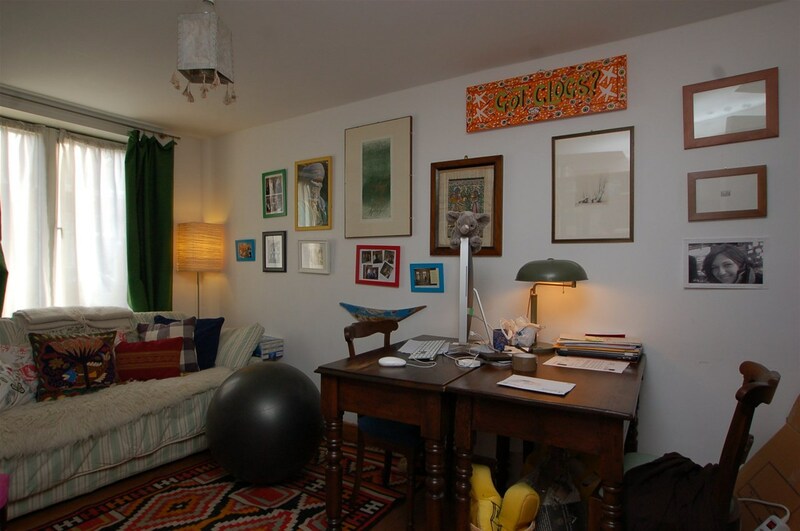 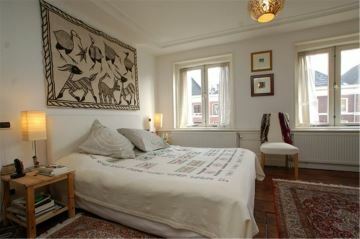 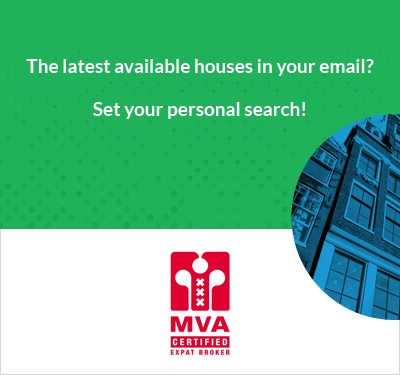 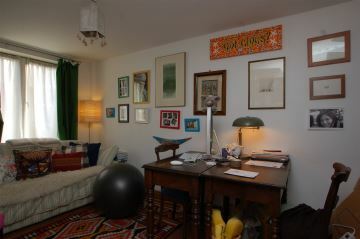 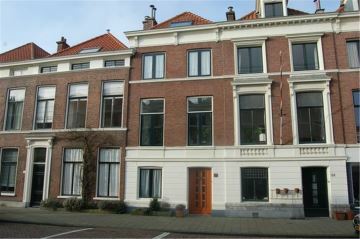 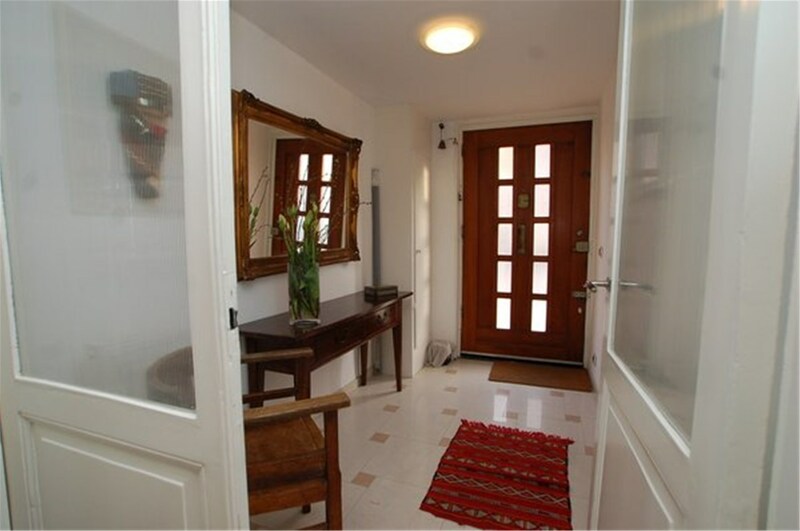 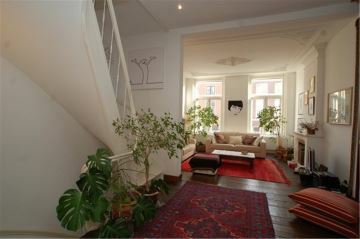 Close to shops at the popular Bankastraat, but also close to city centre, main highways and public transport. 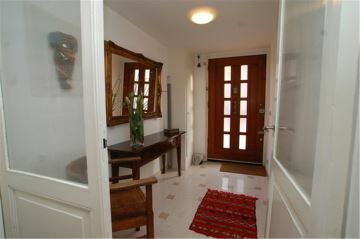 Entrance, nice hall, cupboard and toilet, bedroom (approx. 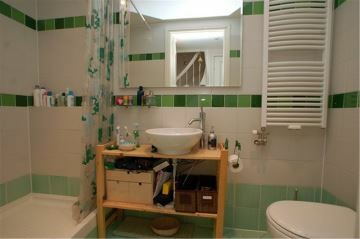 4.25 x 2.65) with modern bathroom with shower, washbasin, and toilet, modern good sized kitchen with all appliances, laundry-room. 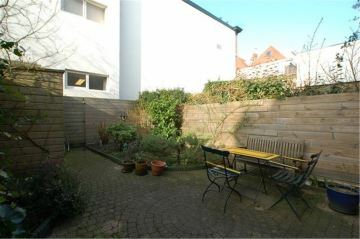 Sunny backyard (approx. 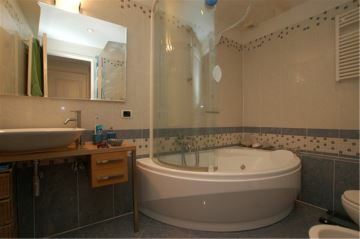 8.50 m. deep) with storage. 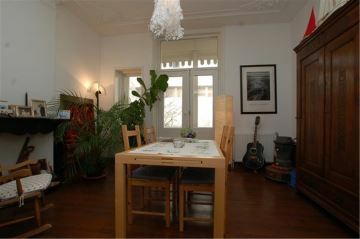 Spacious living and dining (approx. 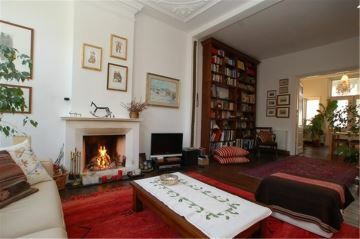 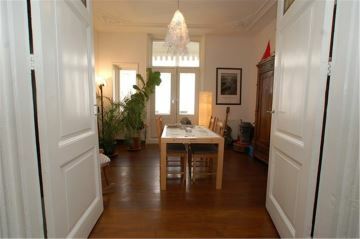 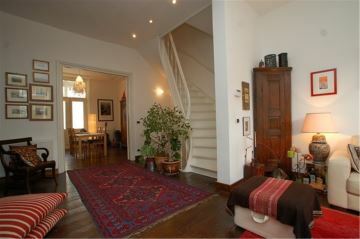 11.65 x 4.50) with wooden floors, fireplace, original ceilings and double doors to the sunny balcony. 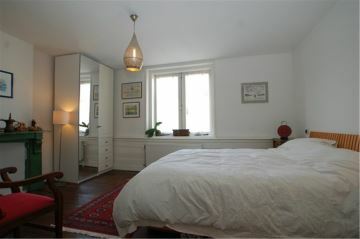 landing, 2 good sized bedrooms (both approx. 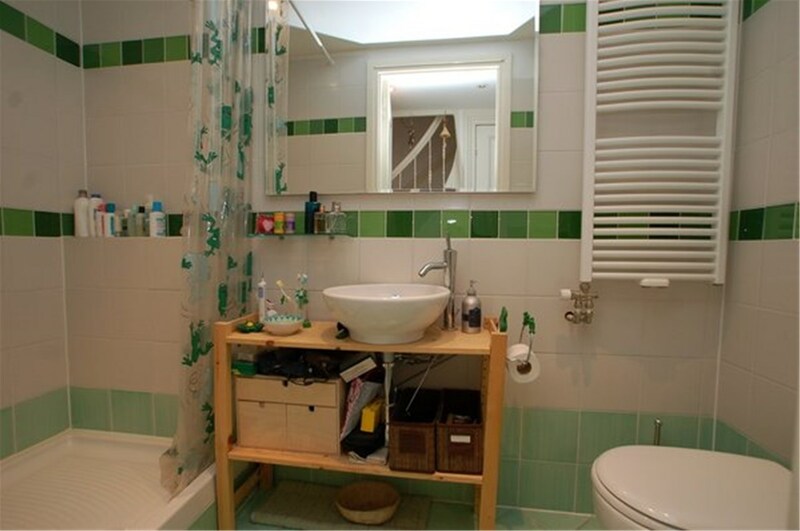 4.50 x 4.10), modern 2nd bathroom with jacuzzi, washbasin, bidet and toilet, modern 3rd bathroom with shower, washbasin and toilet. 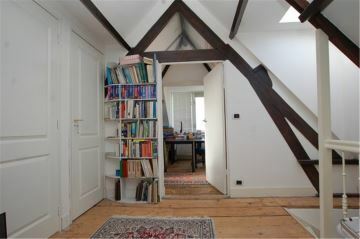 Very charming because of the wooden roof construction, landing, toilet, storage space, 2 bedrooms.